Officials said that it is unclear when the code entered the Vermont utility’s computers, and that an investigation will attempt to determine the timing and nature of the intrusion, as well as whether other utilities were similarly targeted. Russian hackers earlier obtained a raft of internal emails from the Democratic National Committee, which were later released by WikiLeaks during this year’s presidential campaign. President-elect Donald Trump has repeatedly questioned the veracity of U.S. intelligence pointing to Russia’s responsibility for hacks in the run-up to the Nov. 8 election. He has also has spoken highly of Russian President Vladimir Putin, despite President Obama’s suggestion that the approval for hacking came from the highest levels of the Kremlin. Russia has been accused in the past of launching a cyberattack on Ukraine’s electrical grid, something it has denied. Cybersecurity experts say a hack in December 2015 destabilized Kiev’s power grid, causing a blackout in part of the Ukrainian capital. On Thursday, Ukranian President Petro Poroshenko accused Russia of waging a hacking war on his country that has entailed 6,500 attacks against Ukranian state institutions over the past two months. The Russian Embassy did not immediately respond to a respond to a request for comment. Representatives for the Energy Department and DHS declined to comment Friday. Alice Crites and Carol Morello contributed to this report. Juliet Eilperin is The Washington Post's White House bureau chief, covering domestic and foreign policy as well as the culture of 1600 Pennsylvania Avenue. She is the author of two books—one on sharks, and another on Congress, not to be confused with each other—and has worked for the Post since 1998. 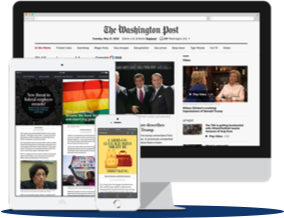 Get 2 months of digital access to The Washington Post for just 99¢. A limited time offer for Apple Pay users. $9.99/month after the two month trial period. Sales tax may apply.